We all know too well that when you work from home there tends to be no “off-switch”. With a dedicated desk, you’ll find a new appreciation for off-hours and can leave all your work behind at the end of the day! Having a dedicated desk is one of the quickest ways to change your work life balance. Not to mention, no more lugging around all your belongings to and from different locations every day. Your desk is solely yours which makes it a safe place to leave all your belongings. You’re able to set your desk up however you see fit and leave it that way. Our Dedicated Desk memberships are great for small teams as well! Each team member can enjoy the perks of having their own desk and team meetings can be held in the Conference Room or the Breakout Room. This allows you to still have a professional team environment to come to each day without having to foot the bill of office space, furniture, utilities, etc. Your team will also have access to all member networking events held at The Mill which can promote team bonding while also expanding your network! With a Dedicated Desk membership, you have full access to The Mill Coworking meeting rooms, phone rooms, common areas, and member networking events. The biggest difference between a Flex membership and a Dedicated Desk is that with a desk you have a space that is all your own. Our large, premium desks provide ample space to create the perfect setup for max productivity. Each desk is equipped with a power plug that has 2 usb ports and 2 outlets. We also offer upgrades that allow you to add a monitor to your desk, wireless mouse and keyboard, or storage units! Join us for a Free Trial at The Mill Coworking and find out just how much having a space dedicated solely to work can change the way you operate! Happy Feature Friday, friends! We’re a week away from Christmas and something tells us there’s a frenzy of people still out there searching for the perfect gift. No worries, we’ve got you covered. This week for our Holiday Edition of Feature Friday, we’re talking our favorite spot to knock out your gifts--Magnolia Emporium! When talking about why The Gold District in South End, Randolph said, “We chose The Gold District of South End because of its rich history and our ability to #DigIn and mine our own fortune. We love being a part of The Gold District because of the strong community support from our neighbors and the rich, diverse history and culture. We are proud to be a part of this community. It is important for us to support other local business owners and to make sure that our neighborhood is a shining jewel in the Queen’s crown.” We couldn’t agree more, Randolph. The community in South End is unmatched! If you’ve been following along, you might have noticed this is a common answer from all our favorite neighbors. Supporting local business is not just our mantra but the whole neighborhood! So there you have it, no more fretting over gifts! 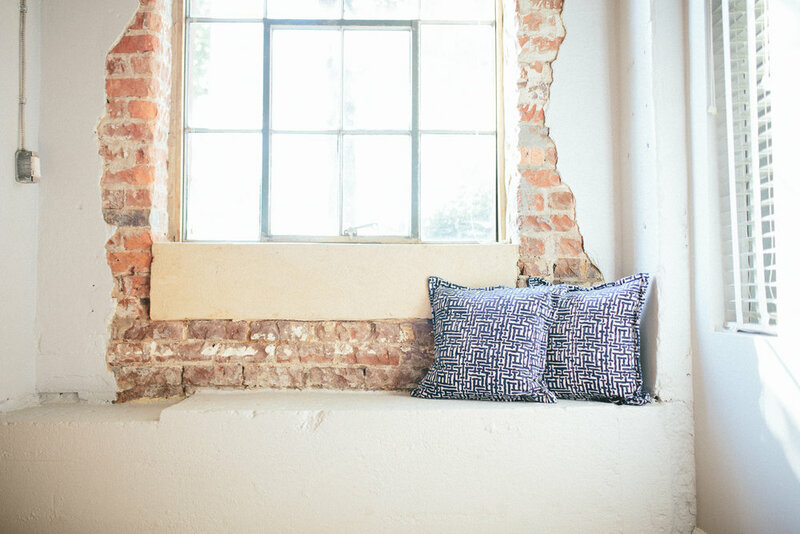 Just swing by and say hi to our friends at Magnolia Emporium and let them help you out. We promise you won’t leave empty-handed! Flex Membership: What is it and Who is it for? It’s hard not to notice that coworking is becoming more and more of a trend in big cities. You may find yourself wondering what the hype is all about and we figured we’d help by breaking it down for you! Coworking by definition is “the use of an office or other working environment by people who are self-employed or working for different employers, typically so as to share equipment, ideas, and knowledge. ‘the whole idea of coworking is to bring bright, creative people together and let the ideas collide’”. So what does that mean in reality? If you work from home, you know the struggle of maintaining full focus. There’s constantly something that needs to be done around the house that you’ve got in the back of your mind or maybe you’ve got a furry friend that you can’t help but want to hang out with. On top of that, it can be rather lonely working for yourself. That’s where coworking comes into play. We’ll start with what we call a Flex Membership. Maybe you’re a photographer who just needs a creative space to knock out some edits and client meetings? Or maybe you’re a small business owner who needs somewhere to come in and do day to day tasks without the distraction of your store front? You could even be a Social Media Manager or Blogger and just need a space to crank out this month’s posting schedule. This is the perfect way for you to dip your feet into coworking and see if it’s what you’ve been lacking. With a flex membership you have full access to The Mill’s meeting rooms, phone rooms, and common areas. Membership fees include free WiFi, Conference Room time, Enderly Coffee Co. brewed fresh daily, snacks, and member networking events. All of these things provide you the perfect space to grow your business. You get to enjoy having a space to hold client meetings and get your work done without having to foot the bill for the office space, utilities, etc. Not only does this provide you with a more structured environment to run your business, it expands your network! Being a boutique coworking space means that we are much smaller in size which ultimately leads to a tight knit community of passionate workers looking to all achieve the same goal. Our member events, like Breakfast Breakdown, provide the perfect chance for you to hear what other business owners may be struggling with and also get their advice on experiences they might have had that you’re experiencing now (or possibly just the chance to make some really great friends). Join us for a Free Trial day here at The Mill Coworking and see what you’ve been missing! Everyone say “hello” to Amanda Tomlinson! Amanda is a Flex Member here at The Mill Coworking and the Owner of Zest Marketplace. Zest Marketplace is a new fashion format that blends the concepts behind a traditional consignment store and Rent the Runway. Instead of making one commission selling an accessory at a consignment store, investors can earn multiple commissions renting their accessories over a finite or indefinite amount of time. They are building a closet full of fabulous fashion accessories that borrowers have access to on a short-term, guilt-free basis - for game day to wedding day and every occasion in between! Be sure to check out Zest Marketplace and follow their journey as they continue to grow! Happy Friday everyone! The Holiday Season is here and we’re getting in the spirit at The Mill Coworking by doing a month long Holiday Edition of Feature Friday’s for you. Each Friday, we’ll be diving into our favorite spots around South End for all your holiday needs. For the first week, we’re kicking it off strong with our favorite spot to host your holiday party! 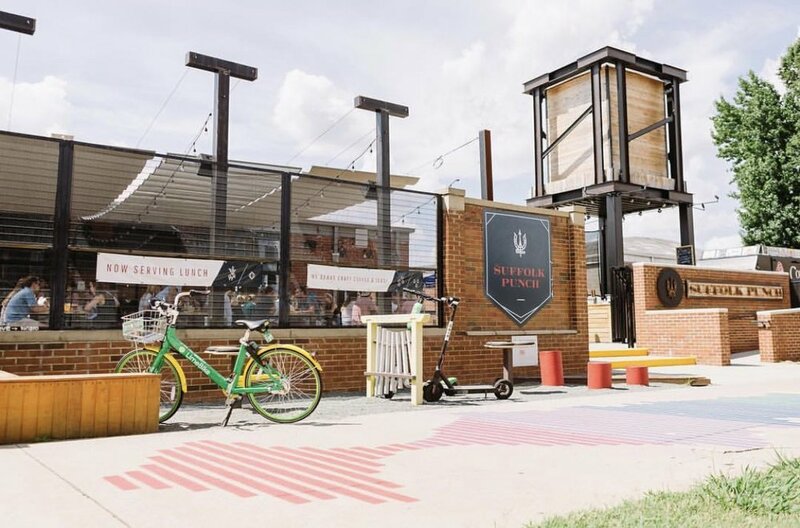 With a million different options around South End, it can be overwhelming to find a great spot to get together with all your friends and celebrate. Insert The Suffolk Punch and that scenario just got a whole lot easier! The Suffolk Punch is a culinary cafe, coffee bar, taphouse and brewery all packed into one incredible location. This makes the perfect spot for a holiday party due to the fact that they have such a variety in their offerings. From small, intimate dinners in their brewhouse to large (300+ person) affairs, they’ve got options for every type of event! If you’re looking for where to host your holiday event this year, we highly recommend giving these guys a call! Check them out for New Years too for their New Year's Punchin’ Eve. If you’re interested in hosting an event, feel free to start the conversation here (https://thesuffolkpunch.com/connect/#private-events) or email them at events@thesuffolkpunch.com. Stay tuned for next week when we dive into the best place to knock out all your gifts! Working from home has always seemed to be the dream, right? No loud co-workers to distract you, no boss hovering over your shoulder, freedom, the list could go on and on. However, being your own boss or working from home can provide its own batch of problems. Today, we’re going to dive into how joining a coworking space can benefit the solopreneur! One of the biggest struggles of working from home or a coffee shop is finding the motivation to get started. Not to mention, sitting at home all day crunching out emails can get rather lonely. Being surrounded by others who are passionate about getting work done is one of the quickest ways to light the spark in yourself. Whether they’re knocking out e-mails on the couch or planning out next month’s goals upstairs at their desk, you can always count on someone working on something around The Mill. Being surrounded by passionate people not only motivates you but ultimately expands your network as well. Chatting with other members can open up opportunities for new business, feedback, and more. Another perk of coworking is the low-cost and flexibility that comes with a membership. 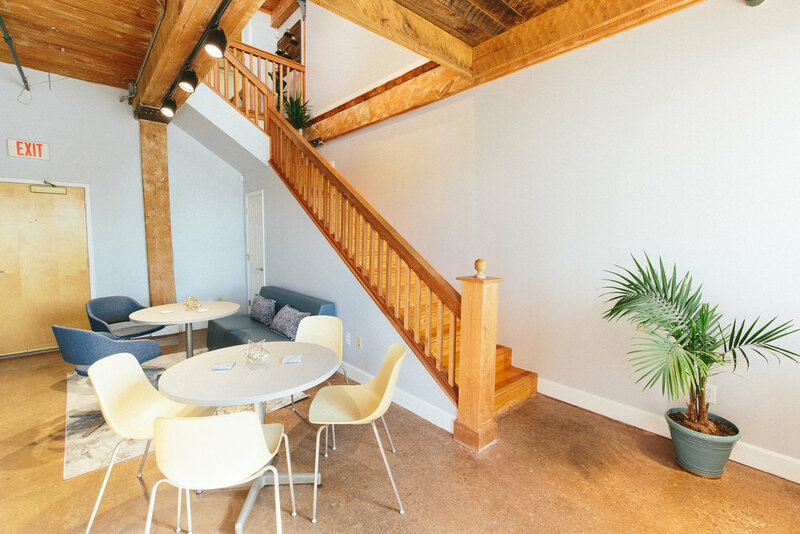 At The Mill, all members receive free coffee, snacks, WiFi, printing, parking, and more! This is the easiest way to get yourself into an established environment without having to foot the bill for a private office (or coffee and snacks all day). We offer several levels of memberships to fit each person's needs. With the Flex Membership you can enjoy cafe style seating downstairs amongst our other amenities. This membership is great for a free-lance writer, blogger, photographer, or anyone that needs somewhere to knock out a couple hours of work each day and hold client meetings. If you’re looking for something a little more personal, we offer Dedicated Desk memberships as well. This is a great membership for Solo Entrepreneurs looking to grow, IT Professionals, Social Media Managers, or Remote Workers. These members get to enjoy large, premium desks that they can set up however they see fit and leave it that way! With 24/7 access, members can pop in whenever they have the itch to work and feel confident that their belongings are safe while they’re away. The best part of coworking, however, is the community. When you join a coworking space, you immediately join a community of like minded people who are ready to support and cheer you on! The Mill hosts several member events throughout the month to help bring everyone together and get to know each other a little more on a personal level! It’s easy to get caught up in the competition sometimes, however, with coworking everyone is able to come together and all achieve the same goal: SUCCESS. So what are you waiting for? Come join us for a Free Trial and see what you’ve been missing! Visit themillcoworking.com for more information. In a world where everything we need is at our fingertips, people find themselves struggling more and more with finding the perfect work/life balance. Studies have shown that more than 50% of workers are putting in 50+ hours of work a week. You can’t help but ask yourself, when is there time to do anything for me? Outside of our careers, we also have to balance relationships, personal care, and day to day tasks. This balance can be even harder for solo entrepreneurs or remote workers whose home is their office. After a while, the line between work and home seems to somewhat disappear. Everyone deserves time to take care of themselves. Well rested, happy employees will always perform better than overworked and stressed out. So what do you do about it? Start each day by setting clear goals. Prioritize your tasks from most important to least important and start from there. Breaking down each task into smaller tasks will help you stay on track to reach your goal. You may also find it helpful to set a time limit for each task. Your goal should be to work smarter, not harder. Use the most of the time you’ve set aside for work by focusing strictly on what’s most important at the time. Take a break. One good practice is to allow yourself a short 5 minute break after completing each task on your list for the day. Small breaks allow you the opportunity to clear your mind and better deal with stress when you’re back on the job. Take a walk outside, grab a snack, pretty much anything to take your mind off of work for a moment. Your brain will thank you at the end of the day. Stop obsessing over perfection. It’s hard to not feel the pressure to be perfect at what you do, especially in the age of social media. You have to remember that we’re all humans and everyone will have an off day. Instead of dwelling on what you could have/should have done differently, focus on the positives from the situation and learn for the next time. Get support. Everyone needs a support system. Find your person and set aside time for them as often as you can. Chatting through your problems or just venting is the quickest way to relieve stress. Find your tribe and keep them close. They’ll be your biggest fans in the end. Don’t over commit. Over-stretching yourself outside of work ultimately ends with lack of rest. We all know that we’re far less productive when tired. You have to remember to limit your commitments and set aside for time for just yourself (even if it means missing a couple Happy Hours after work). UNPLUG. We’ve already talked about the struggle of work constantly being at your fingertips. Now you have to overcome that by learning how to unplug. This doesn’t necessarily mean turn off all electronics and go off the grid, however, it does mean setting boundaries and no longer responding to work related alerts after a certain time. This allows you a few hours each day to not have to worry about anything work related and recharge your brain. If you’ve been feeling overwhelmed or like you’re drowning in work 24/7, try some of these out. The New Year is right around the corner, which means it’s the perfect time for the beginning of the New You. Remember, you are your most important asset. Take care of yourself. It’s that time again, friends. This week we’re featuring one of our favorite after work pit stops, Pop the Top! 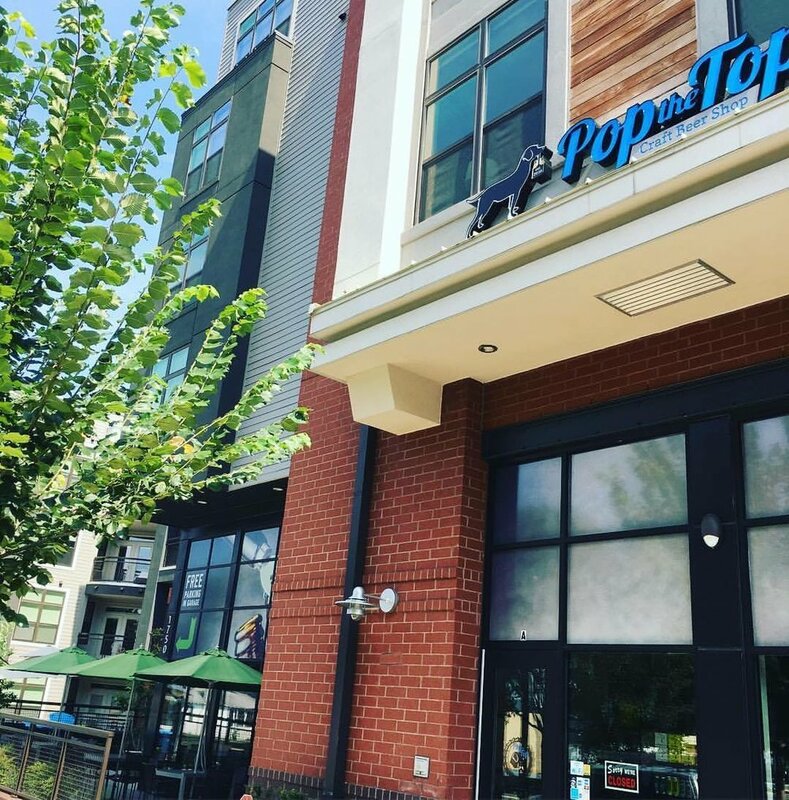 Located across from the East/West Blvd Light Rail stop, Pop the Top is a craft beer shop that offers handpicked options from The Carolinas, cider, wine, and local kombucha. On top of their delicious selection of drinks you can also expect to find locally made goods in the shop as well! Pop the Top loves to host unique and fun events. From special beer releases, bottle shares, or animal rescues, you can count on always finding something cool going on inside. A little background story for you on the owners, Ketan and Kathy--both have been in North Carolina for over 30 years and actually met while attending NC State! We had the pleasure of chatting with Ketan and asked what his favorite part of being a part of the South End community was. His response, “the support for small businesses has been tremendous and it really shows during different events that the South End community puts on. Plus we love dogs and there are SO many cute pups in the area.” Can’t argue with that one, we love all the puppies as well! Speaking of pups, you may notice that Pop the Top’s logo is a Black Lab, this is a tribute to their late Labrador, Louie (excuse us while we melt). Be sure to give these guys a follow (@popthetopclt) and check out their next event or just swing by to say hello. You never know, you might just see us there! Their patio is pet-friendly as well, so feel free to bring along your furry friend when you stop in!